Account-based marketing is all about the customer experience. So are chatbots. So, to figure out what kinds of video to make for ABM, it will help to think like a chatbot. Did you know that Facebook thinks most online interactions between businesses and their customers will soon be mediated by chatbots? Chatbots can deliver an immediate personalized response — which is what customers want. Microsoft has the same idea. The underlying design of Microsoft Windows going forward will be “Conversation as a Platform,” and chatbots will be in on most conversations. Chatbot enthusiasts think bots will replace websites and mobile apps altogether. As this conversational model of human-computer interface takes hold, we’ll need to rethink how we use video. We’ll need to produce chatbot-ready video content. A person embarking on a “Buyer’s Journey” (at the “awareness” stage) is happy to view a short explainer video that brings them up to speed on the main features and benefits. 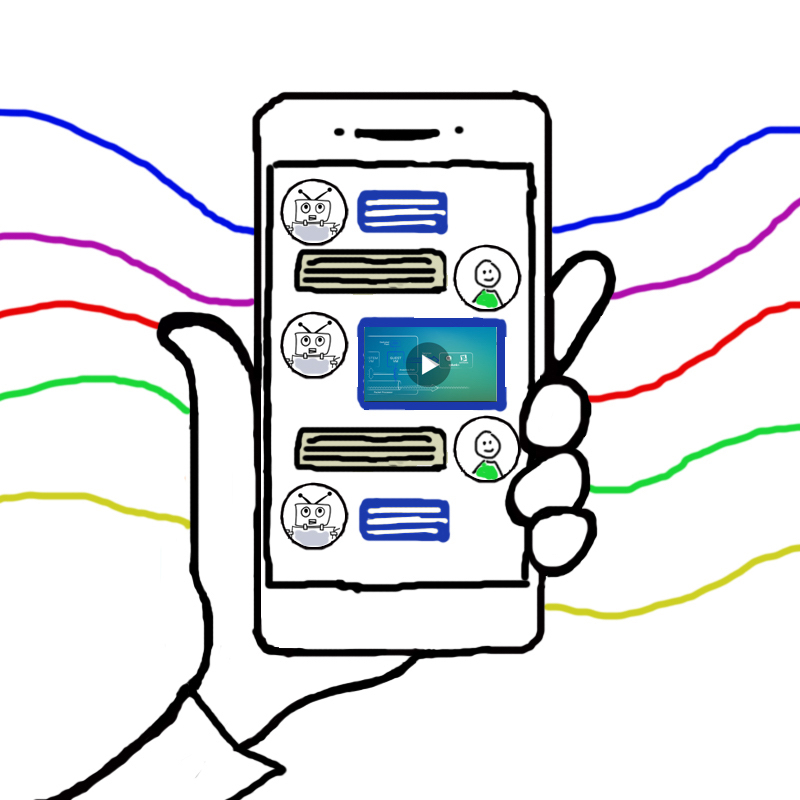 Explainer videos can start a conversation. But follow-up video content — thought leadership videos, webinars, tech talks, testimonials, promotional teasers, etc., are all designed for passive viewing. Success is measured in “views” and, in some cases, call-to-action button responses (e.g., download a trial). Nothing wrong with this. It’s simple and direct. It’s just not especially engaging. For one thing, it’s hard for a viewer to know what’s in a video. Is it going to tell me what I want to know? How long will it take to get to the point? If you’re in B2B marketing, you’re probably also into Account-Based Marketing. (And, if you are, won’t you please take our 2-minute survey?) Even if it’s not a formal ABM program, you’re trying to grow your business with key accounts, right? Try a conversational approach to technology marketing video. What makes a buyer decide to watch your video in the first place? The decision is a lot easier if the buyer is confident that he'll get some value from it. Are your buyers “consuming” your technology marketing video content in order to learn about your solutions and what’s on the horizon for your industry? Without contacting sales? That’s the assumption underlying most inbound and content marketing. 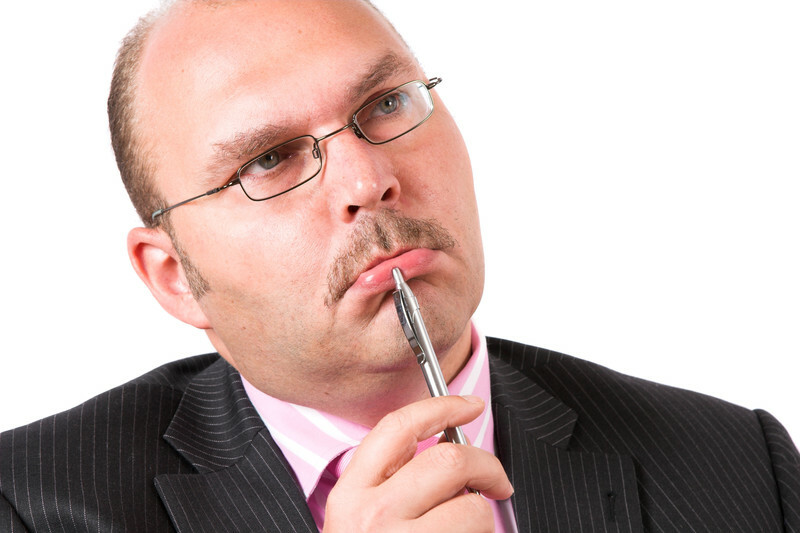 It’s strange, then, that most content marketing discussions and surveys treat video as tactic. 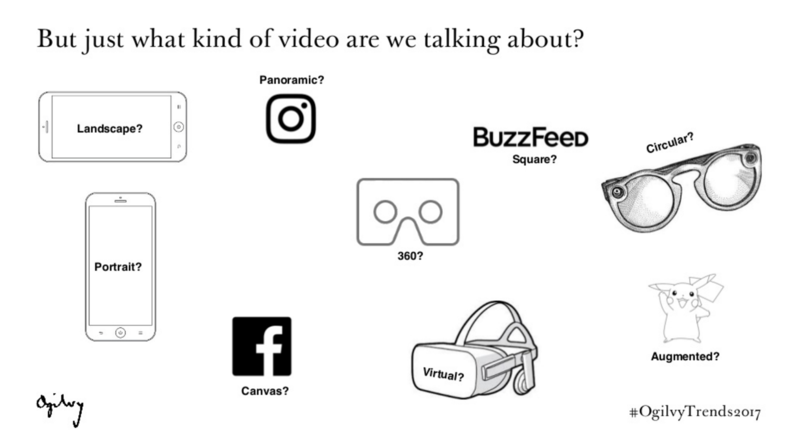 Discussions usually mention video categories (e.g., “explainer videos” are good for quick overviews, ’roundtable’ videos are good for thought leadership, etc.). But the discussion always comes back to “making a video” in a certain genre with certain production values. Budgets are set for the various types. Costs-per-video are negotiated. After that, it comes down to the “messaging” to be delivered in the selected format. Customers like short overviews when they set out on the buyer’s journey. Of course, when they start watching an explainer video they don’t know whether it’s going to explain what they want to know about. But at least they know it will be over soon. Even so, Vidyard’s 2017 B2B Video Benchmarks survey shows that, for videos under 90 seconds (most top-of-the-funnel videos would qualify), 25% of viewers stop watching before it’s 50% done, and just over 50% of viewers watch to the end. 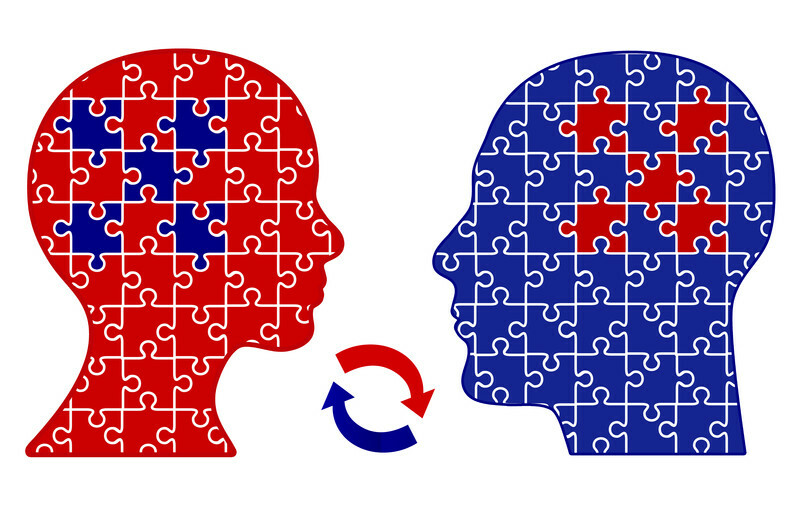 Will buyers want to consume longer “thought leadership” later on in the customer lifecycle? Even if a person craves “thought leadership” per se, there’s no way for the viewer to tell going in whether a particular video contains worthwhile thoughts or how long it will be until the first thought worth thinking about will make its entrance. What about recorded webinars? Don’t you find that they are usually a mix of the relevant and the irrelevant? Again, it’s hard to know at the outset what the mix will be. My point is that the customer didn’t get to wherever your video appears in order to watch video. She came to learn. And your video represents a risk — valuable time potentially wasted. So the customer experience starts out dubious, and goes downhill fast unless the video delivers the goods. Many experts are predicting that chatbots and conversational user interfaces will replace mobile apps and websites in the near future. The trends in video open up a number of new moves to use video to create more customer engagement in 2017. In a recent post I wrote about three B2B Video Marketing Trends I’ll be watching for in 2017. Actually, I’ll be doing more than watching. I’ll be working with clients to find ways to take advantage of these B2B video marketing trends. All three lead toward more engagement and a better customer experience. And that’s where all business is headed. This is in line with the trend toward a “video-first world,” as envisioned by Mark Zuckerberg. The more pervasive personal video streaming and messages become, the less relevant categories such as webinar, slideshare, explainer, tutorial, and commercial become. Video is simply part of the sales conversation. Get subject matter experts to record answers to frequently asked questions instead of making presentations. Add titles and graphics. Record Skype conversations with customers. Did you know that vertical video ads on Snapchat have up to 9 times more completed views than horizontal video ads? With more and more video being viewed on mobile devices, is makes sense that people aren’t going to want to turn their phones horizontal to view every video that comes along. If you’re just trying to explain a value proposition and or teach a customer something useful, there’s no compelling reason to do it sideways. In fact, one could argue that turning your phone sideways detracts from the customer experience. The vertical format favored by 200 million Snapchat users will become increasingly relevant as more web videos are viewed inline on iOS devices, courtesy of Apple’s iOS 10. It’s certainly not difficult to record videos in portrait mode. Or to edit in graphics and animations. Give it try. Put some on your FAQ page. Re-use on Snapchat. Here’s an example of a video that’s feels a bit more like an app than a video, simply because it allows the viewer to manipulate it. My favorite video marketing advice for the New Year is this: “Video Will Account for 79% of Global Internet Traffic by 2020 (So Increase Your Video Marketing Budget NOW).” Cisco is the source of the percentage forecast. Tubular Insights (formerly ReelSEO) is the source of the conclusion inferred from it — and I hope marketing managers can convince their CFOs of its logic. As it happens, when I googled “B2B video marketing trends 2017” and a few similar terms, none of the results came up with predictions specific to video. I got articles about B2B content marketing, B2B digital marketing, B2B online marketing and the like. but no B2B video. Strange, because, an equally logical inference that could be drawn from Cisco’s “79% of traffic” forecast is that content in media other than video will be comparatively irrelevant. Just kidding. But, any way you look at it, video is getting to be a bigger deal online. 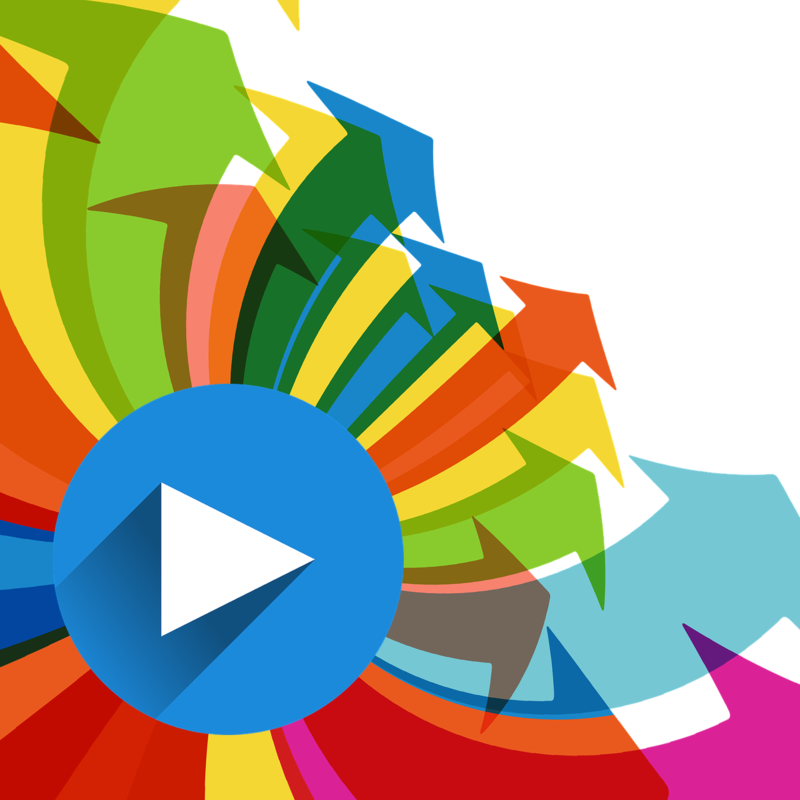 Here are the B2B video marketing trends I’ll be watching in 2017. In mid-2016, Facebook’s Mark Zuckerberg announced “We see a world that is video-first, with video at the heart of all our apps and services.” The working out of this vision is quite obvious on Facebook’s apps and services like Facebook Live and Facebook Messenger. As this trend grows, people will increasing value video as a medium of conversation, not just entertainment and advertising. Marketers who want to capitalize on this trend should think how they can make video part of the sales conversation. I highly recommend Key Digital Trends for 2017, a thoughtful and great-looking SlideShare from Social@Ogilvy. 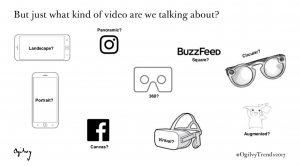 It has a lot to say (slides 45 to 56) about the “video first world.” (Unusually, it also deals with ethical concerns of marketing in this world.) Among the trends noted by Ogilvy is the proliferation of video formats. Especially relevant to marketers on a budget is the vertical format which will become increasingly relevant as more web videos are viewed inline on iOS devices, courtesy of Apple’s iOS 10. Did you know you can make just about any marketing content — infographics, even white papers — interactive? Can technology marketing videos have empathy? 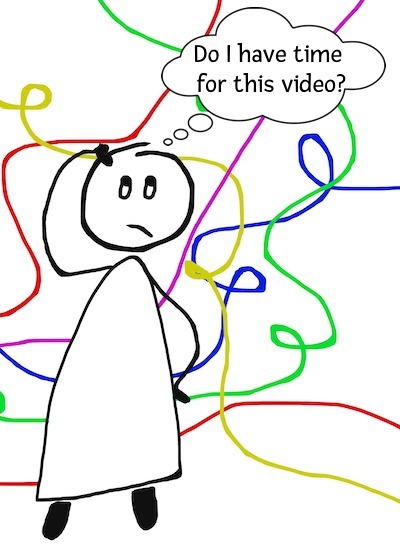 Puzzling out the risks your customer faces in the decision-making process can help you create more empathetic videos and other content that is more in line with what customers really want. There’s little doubt that video as a medium can have empathy. Reality TV shows may increase empathy and bring out the best in us. But let’s consider the kind of videos I know best, technology marketing videos. These are mostly short, high-level solution overviews for lead generation or account management. What is empathy in marketing? Brian Carroll at B2B Lead Blog writes interestingly about humanizing the sales and marketing processes. 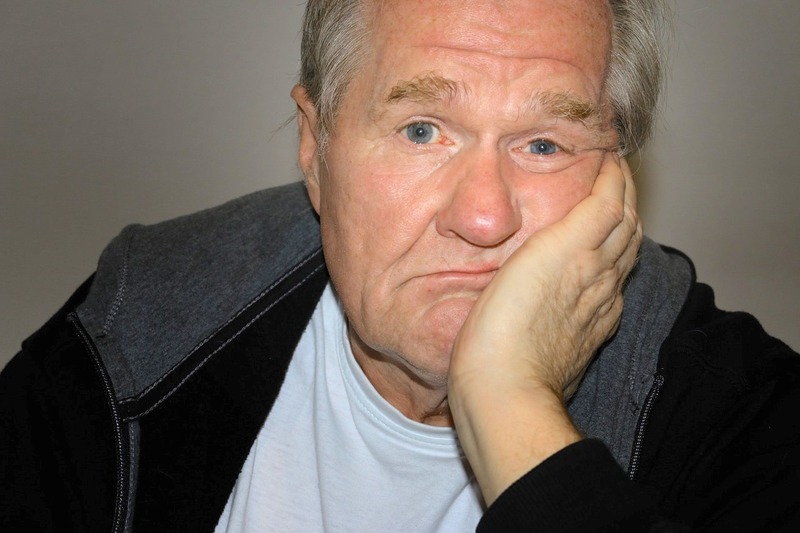 In “How Empathy Will Grow Your Sales and Marketing Pipeline” he notes that customers are deluged with so many impersonal marketing messages through so many channels, they are just worn out. We can all empathize here. But the idea of empathy in marketing is that people warm to a message that addresses hopes, fears, and other feelings we all have. For example, if yours is a complex sale, Brian suggests focusing on the risks perceived by your customer. That’s a fruitful idea. I would add that, with a buying team, you need to address multiple kinds of risk-averseness to help encourage consensus. I’ve written previously about contending with group dynamics. In terms of video, empathy doesn’t necessarily mean trying to take hopes and fears into account. I really like Carroll’s formulation that “the best marketing feels like helping.” Customers aren’t looking for solutions. Make a better tech marketing explainer video. Start with a diagram. Tech marketing videos that feature business and technical processes can come across as dull unless they are structured to tell a story. Diagrams write the story for you! In a previous blog post, I recommended diagramming the structure of your tech marketing explainer video using a tool built into Microsoft Office. That was about putting across all the essential messages. Another good way to come up with a story about a technology solution is to find the diagram that tells the story and extract what you need. By “the diagram” I mean the one that’s probably on Slide 9 of the sales deck or Page 6 of a white paper. Diagrams of solution architectures, processes, even the vision behind a strategy, make a great starting point for developing a video. These illustrations — whether professionally created graphics or napkin sketches — are the distillation of hard thinking by bright people who know the subject. This is the best they can do. The solution’s technical details are shown in this diagram. But most of them didn’t make it into the video below. How you turn a diagram like the one shown here into a story depends on your storytelling purpose. In this case, the message about “DevOps style automation” is a key pillar of the messaging. But it the technical details are not central to the story here. 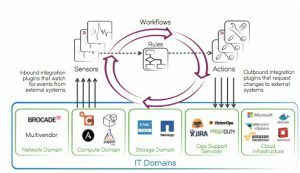 The video on the left below is based on the diagram, but it shows where the benefits of DevOps apply, without showing how it works. People who invest their time in watching your B2B video want to be taken seriously. This is easy to overlook In the drive to deliver marketing "messages." Malcolm Gladwell has said that, for him, the key to a good live presentation is to keep in mind that the audience wants to be taken seriously. This struck me as pertinent to the development and production of B2B video for inbound marketing and sales engagement. We imagine the audience browsing our collection of marketing content like bees collecting nectar. We plant messages they’ll take back to the buying committee. But how much effort goes into making them feel that we take them seriously. In a short video, there’s usually a requirement to put across several key messages, sometimes for different audiences. That can lead to adjectival overload — a string of phrases like “powerful features,” “unprecedented scalability,” and “advanced technology.” You’re probably don’t find such claims compelling. Neither will your buyers. Many of the videos we produce deal with technology product introductions and upgrades. Most of these solutions have been pre-introduced to existing customers or user groups. If you can get a fix on what these groups are most curious about, you’ve made a good start on figuring out how to frame the story for a larger audience. Even if you’re required to deliver information on a set number of features, if you start with one you know people will have questions about, you’re audience knows you’re serious. You’ve probably heard that B2B video needs to grab the viewer’s attention in the first 15-20 seconds. Five webinar worst practices to avoid. Please. People are easily bored and distracted by technology solution videos that fail to recognize that viewers are in a hurry to learn something. I’m no expert on producing webinars, but I’ve sat in on lots of them. We use them to collect background info for technology solution webinars as background for the marketing videos we create. We sign up for webinars to video trends in general. So, maybe these are just pet peeves, but I think there are lots of fellow-sufferers who would agree. The presenters make or break your webinar. Of course you don’t want latecomers or anyone else wondering who they’re listening to. Put up a slide with a photo and credentials when the presenter starts talking. Maybe even leave an image in the corner of the screen. It’s OK to remind me of the topics you plan to cover. But please just say, “Here’s what we’re going to talk about” and show me a list. Make it an enticing list. Maybe include some juicy subtopics. Don’t read it to me. Stop talking about what you’re going to talk about. Just get on with it. My brother maintains that no idea worth having ever appeared on a PowerPoint slide. He’s an academic, so allowances must be made. But I can’t imagine that anyone really likes bullet points. Should sales or marketing produce your videos? 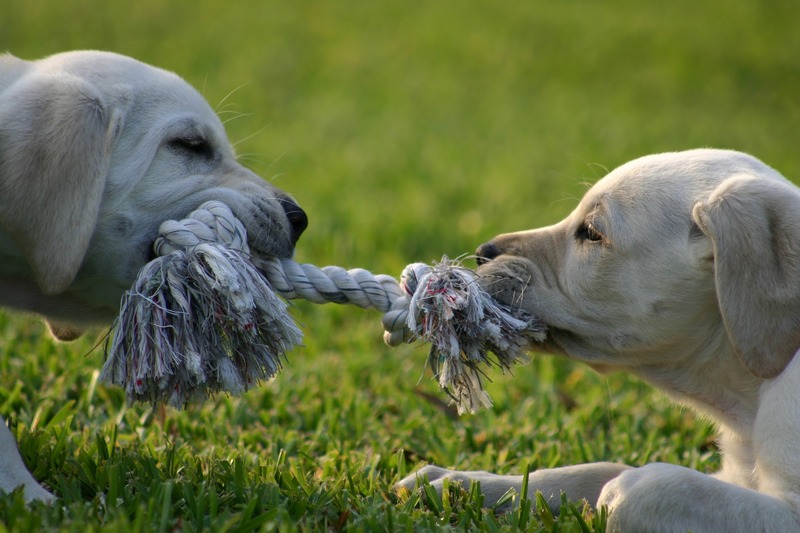 In the tussle between sales and marketing, it sometimes makes sense to allow sales to win. When that is the case, you need video for sales engagement, not just to create awareness. 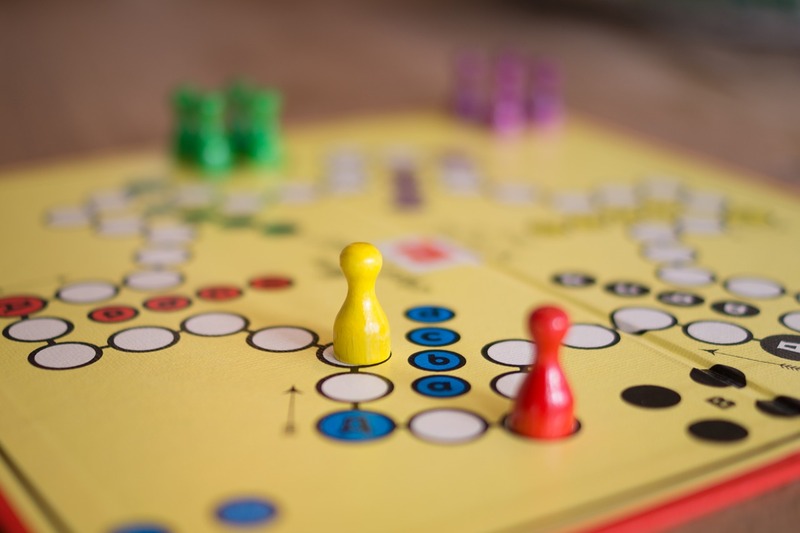 In an interesting blog post, guru-to-the-startups Rita Baker makes a strong case that, if your product or the needs of your market are complex, it is sales, not marketing, who should run the show. On that logic, since most tech solutions are designed to eliminate or hide complexity, the answer to the question “Should sales or marketing produce your videos?” could well be “sales.” But that’s not the way it usually works. Marketing usually produces video and other content, which goes on the website and gets used in campaigns and sales automation. But what about video for sales engagement? Is video for marketing, sales engagement, or customer experience? Explainer video depicting a new view of the buyer’s journey advanced by Hank Barnes at Gartner. Many marketers use video to create awareness about a product or solution. But video can create a lot of customer engagement. Current thinking about buyers and sellers puts the emphasis on the customer experience over time. In my favorite buying cycle model, from Gartner, there is an “owning cycle.” Most customer journey models for tech products appear to call more for empathy and hand-holding than for conventional content marketing. Marketing content may bring in leads, but the rest of the process depends on engagement. This Journey Sales explainer video on transforming SalesForce CRM into a collaborative engagement platform gives an idea of the many kinds of content needed for a personalized B2B buyer experience. Their “Smart Room” solution opens up many new ways to use video for sales engagement. Videos for lead nurturing? They can do a lot more than you think. 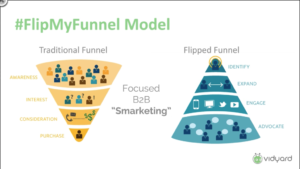 I’m talking about actual nurturing here, not creating leads or tipping them over the lip of the sales funnel. According to SiriusDecisions, 80% of unqualified leads today — understandably ignored by sales — will go on to buy from someone within the next 24 months. According to Jeff Cohen, a blogger for Oracle Marketing Cloud, nurturing is making sure your brand is in front of them when that happens. Cohen recently posted a five step plan for lead nurturing that struck me as comprehensive and useful. He never mentions video — so here’s an outline of the plan, with the some ideas about videos for lead nurturing filled in. That’s the hard work that goes into developing personas, mapping the buyer’s journey, discovering the pain points, creating the messaging and all that. It should all be done before you make your video. But it never really is done. Videos can help you better understand the people who watch them — good leads by definition. Just add some clickable objects to the video and capture data on what gets clicked — easy! This is a great opportunity to zero in on which pain points matter and which features matter most. Simply repurpose old videos with chapter headings and count which ones get clicked. Old videos in new bottles? Surely worthy of a spot in your lead nurturning plan.